Apple’s developers are previewing new Siri integrations for payments – such as asking it to send a secure payment without ever opening an app. The firm says with the introduction of SiriKit for developers, messaging apps can now tap into the “power” of Siri. 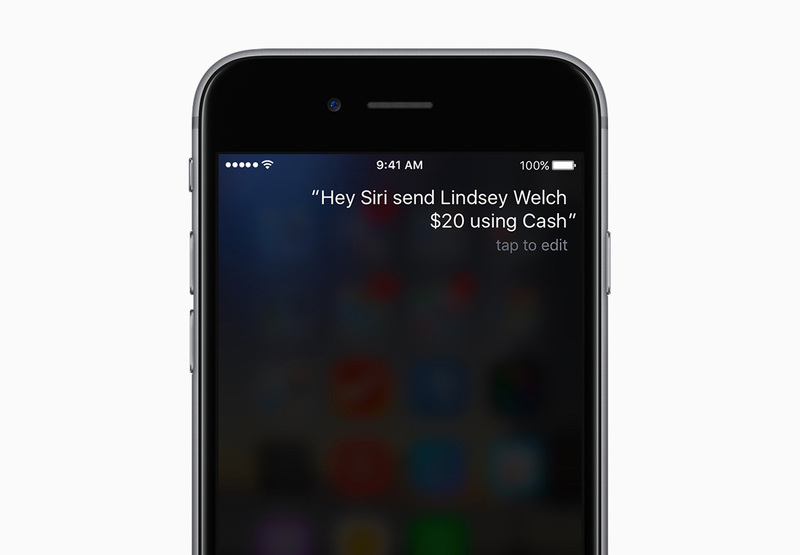 Siri can be used to make a quick payment using Square Cash or Monzo (formerly Mondo), or send a message to a friend using WhatsApp or LinkedIn. Monzo, which “aims to build a bank of the future for people who hate banks”, will let users ask Siri to send payments to fellow Monzo users, authenticating them with the touch of a finger with Touch ID. Apple is offering “sneak peeks” of how all this works (is it that complicated?) on its website. Away from Siri, Apple told cartels to go to hell. The firm clearly found the situation taxing and responded strongly to three of Australia’s big banks’ plans to team up for negotiation deals on digital wallet access. The request from the Commonwealth Bank of Australia, National Australia Bank and Westpac to “collectively negotiate over digital wallet access to the iPhone will compromise the handset’s security, reduce innovation and blunt Apple’s entry into the payments market in Australia”. It’s a fluid situation and it’s not over yet. PayPal is bringing its users “an early holiday present” – the integration of Siri into PayPal.